Christina Grimmie misses her dog, Chloe. "Oh, my puppy! I haven't seen her in forever, because of the tour," she said in a phone interview Wednesday. "Oh my gosh, she's like my best friend. I love her so much." Grimmie, a 20-year-old New Jersey native, has been on the road almost three weeks with "The Voice" Tour, performing in Texas and Florida, and winding her way toward Niagara Falls, where she'll take the stage July 11 at the Seneca Niagara Events Center. Thanks to NBC's hit singing show "The Voice," in which Grimmie finished third May 20, the musician has gained new friends, innumerable fans, national exposure and priceless industry contacts. In the process, she's had to sacrifice some freedom. "I really don't (have down time)," she said, laughing. "It's all part of the job description." That's not a complaint. In fact, Grimmie is quite pleased with the way the past six weeks have played out, despite not winning the top-rated music competition. "I am more than thrilled that I made the top three," she said. "In fact, I feel like it almost worked out better for me. I just have so many things going for me; I don't need the title of 'The Voice,' per se. I don't think that defines your success as an artist. "For me, finishing in the top three, that alone is just a huge blessing, and a huge accomplishment. There's no way I could possibly complain about that." In February, NBC used a clip of Grimmie's blind audition, in which she sang Miley Cyrus' "Wrecking Ball," to promote the sixth season of "The Voice." She appeared in the season premiere and netted four "I Want You" chair turns from coaches Adam Levine - whom she picked - Shakira, Usher and Blake Shelton. Everyone instantly knew Grimmie would be a serious contender. "I actually - believe it or not, I know this sounds really pathetic - but I never actually had the mindset like, 'Oh, I'm going to win,' " Grimmie said, laughing. "I kind of just had more of a, like - I think when I got to the live rounds, though, that's when I started to realize how serious it was. I was like, 'Wow, here I am. I'm at the live rounds in the top 12 now. I'm not messing around anymore.' "
Grimmie steadily improved throughout the season. Her song choices and stage presence seemed to get better with each live performance. Levine helped the singer make the most of her significant talent. "That's kind of when I started to put my best foot forward," Grimmie said. "Adam was tremendous. He just really helped guide me as an artist and (with) song choice and everything." "I don't exactly have the mindset, you know, 'Oh, I'm going to win,' " she said. "It was just more like, 'Alright, I'm just going to give it everything I have. Let's see if I have what it takes.' ... I wanted to, like, kind of save the best for the next couple or the last (performances), you know?" "I was just taking it step-by-step; live round by live round," she said. By season's end, Levine was so impressed with his protégé that he offered to sign Grimmie to his record label. She wound up signing with Island Records, the home of Florence + The Machine, Drake, Gotye, Leona Lewis and a small Irish upstart that goes by the name U2. "I've actually got an album coming out, hopefully, by somewhere around the end of this year," Grimmie said. "And I also have a single coming out within the month." Of the new material, she teased, "It's very fun, and it's very - I wanted it to be very me. "Because I've been on tour, I haven't exactly gotten to write as much, but I'm kind of starting the process. As far as the single goes, it's just - it's a jam. It's fun, and I think people are going to dig it." So far, "Voice" fans have been digging the live tour. The unexpected kinship between the performers, as seen on TV, has continued on the road. Somehow, in the midst of heated competition, the season six singers not only bonded, but actually became lifelong friends. "I'm actually legitimately very surprised," Grimmie said of "The Voice's" relationship-building. "That's not to be a rude comment, but it's like, I'm just kind of surprised. "We all have the same goal. We're all sharing the same stage, and we all competed at one point and, yet, somehow, we've never bumped heads. Never had any issues. There's been zero drama, especially since the tour." "It's just a really great atmosphere here," she said. "Everyone's amazing." Grimmie said tour-goers can expect to see more of what they saw from her on "The Voice." "I bounce around stage a lot," she said. "I jump around. I get into my songs quite a bit." Like her tourmates, Grimmie will sing a lot of cover songs. Her selections will, no doubt, reflect her diverse tastes. She is, after all, a musician who's constantly looking to evolve. "I feel like the pop music industry, and the music industry, in general, is changing so much, and there's always different tastes going around," she said. "For me, as a musician and an artist, I feel like there's so much stuff that I haven't played with yet; you know, there's so many different styles I haven't touched yet and I want to get into," Grimmie said. "The Voice" Tour will stop in Niagara Falls Friday, July 11. Tickets for the 8 p.m. Seneca Niagara Events Center show are available in person or online at http://www.senecaniagaracasino.com/entertainment. When Will Champlin auditioned for NBC's "The Voice" in season five, it was his intent to step out from the shadow of his father, former Chicago instrumentalist Bill Champlin. Thanks to standout covers of songs such as "When I Was Your Man," "Secrets," "At Last" and "Love Me Again," he became a coaches' favorite (both Adam Levine and Christina Aguilera saved him - a show first), and a fan favorite. Champlin finished in third place, firmly establishing himself as a musical talent - and one with eclectic interests (everything from soul to rock to electronic). He returned in season six with a new song, "Eye of the Pyramid." "It felt great," he said in a recent phone interview. "It just felt rewarding to be up there - and not in a stressful kind of environment, but in a way that you've got nothing to lose, but everything to gain here, because you got to perform your own single on live, national television. "That's an amazing thing to be able to do that." The song was created, Champlin said, when he and his bandmates, "just started kind of messing around with sounds." They merged a dubstep beat with a banjo riff and some rocking drums to create an exotic, fist-pumping tune Yahoo! writer Jonathan Frahm described as "totally different" and "something unique in and of itself to the music industry." "It just came together," Champlin said. "To hear the final product is just breathtaking. We're real proud of it." "Eye of the Pyramid" is the lead track from Champlin's just-released "Borrowing Trouble." The singer said, "It's kind of a mix, a little bit (reflecting his varied musical tastes), but we're keeping a lot of the same continuity as far as some of the industrial elements." "We're trying to keep it really interesting," he said. "Not the same thing over and over again." Champlin will perform Friday, July 11, as part of "The Voice Live" Tour at the Seneca Niagara Casino Events Center in Niagara Falls. "The tour is going to be great," he said. "It feels awesome just be back around great talent." Singers performing on the bill include season six winner Josh Kaufman, season six finalists Jake Worthington and Christina Grimmie, season five winner Tessanne Chin, and season five finalist Jacquie Lee. For the local #Champs, this will be their first chance to watch Will, who's firmly established himself as his own artist. "It's amazing - tremendously amazing," he said of his fanbase. "To get to this point, I mean, it feels extremely rewarding, because I've been working all these years on music." "It feels liberating and rewarding to get to this place," he said. "The Voice" Tour will stop in Niagara Falls July 11. Tickets for the 8 p.m. Seneca Niagara Events Center show are available in person or online at http://www.senecaniagaracasino.com/entertainment. •Follow Will on Twitter @willchamplin. 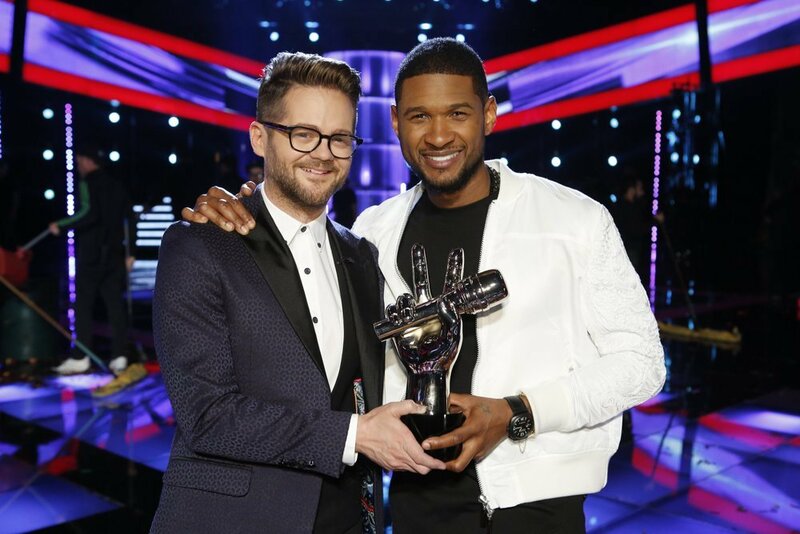 Josh Kaufman was crowned champion of NBC's Emmy Award-winning musical competition series "The Voice" Tuesday night, earning the grand prize of a recording contract and being named as "The Voice" for season six. Team Blake singer Jake Worthington took second, while Team Adam songstress Christina Grimmie finished third. Kaufman, a 38-year-old from Indianapolis, was a member Team Usher. Follow him on Twitter at @IAmJoshKaufman. A four-chair turnaround artist originally on Team Adam, Kaufman was stolen in the second round of "Battles" by Usher after Adam Levine picked Delvin Choice to move on to the playoffs. Kaufman has been singing his entire life and supports his wife and three kids by playing local gigs and working as an SAT prep tutor. He is hoping his win on "The Voice" will allow him to stop tutoring and be a full-time musician to support his family. The Monday edition of "The Voice" ranks as the season's No. 1 unscripted series on the "Big 4" networks in adults 18-49, averaging a 4.6 rating, 13 share and 14.8 million viewers in "most current" averages from Nielsen Media Research through the season's first 33 weeks. "The Voice" has teamed with "The Blacklist" to make NBC's Monday the No. 1 lineup on the broadcast networks in regular-program 18-49 averages this season. Tuesday's "Voice" is averaging a 4.3/12 in 18-49 and 14.1 million viewers overall and has boosted NBC's Tuesday to the third-best average for any broadcast network regular schedule this season in adults 18-49 through 33 weeks, behind only NBC's Monday and CBS's Thursday. "The Voice" will return in the fall with coaches Adam Levine, Blake Shelton, Gwen Stefani and Pharrell Williams. Fans can visit NBC.com's official show site: http://www.nbc.com/TheVoice. Follow the show on Facebook at http://www.facebook.com/NBCTheVoice and on Twitter at @NBCTheVoice and #TheVoice. "The Voice" coaches Blake Shelton, Usher and Shakira have a big problem on their hands. When coach Adam Levine selected Christina Grimmie as one of his three "Team Adam" finalists, he made it very difficult for the other three teams to win this season. Christina is not only talented - all four coaches have called her a fiery vocal dynamo - but she has YouTube fans, too. Some 2.6 million of them. Christina is a serious contender - and that makes her a serious threat to the other coaches. Yes, she came into this competition with a large fanbase, which is something most singers don't have when auditioning. But Christina doesn't want to win based on past performances. She wants to be judged - and garner votes - based on her work on "The Voice," and nothing else. Christina credits Adam with this forward-thinking approach. "You know what, he didn't really touch on any of that. And I actually respect him a lot for not even bringing the previous success into the picture," Christina said after her first "Battle Round" victory. "I'm very big on fair game. I think, I mean, me coming into this with, you know, fans already and stuff like that, I feel like it was just a little unfair for everyone else. And people may be looking at me ... a little bit differently. And I just really appreciate that Adam didn't even really, you know, bring that up." Though Christina has had success online - and in the real world, too, gigging with Selena Gomez and Disney - she was just "one of the guys," so to speak, on "Team Adam." "He was just kind of looking at me like - like he looked at everyone else. And I really appreciate that," Christina said. "And what he really did was just help me with what I already had. You know ... I'm known as the pop singer on the show - the pop R&B singer. And you know he just - I feel like he knows how I sing and how I want to sing. And he very much just wants to help build that. And I really respect the guy for it." For Christina, "The Voice" represents an opportunity to build on the past, but not live in it, as she continues her career in music. "I mean, I don't think I wanted to start fresh, per say. I - I feel like I'm on a whole new level now that I'm singing with so many amazing singers," she said. "You know, it just used to be ... me singing, you know, in my room, and putting up videos. And people were looking up to me. Now it's just kind of like I'm surrounded by all these amazing singers. And I really have to step up my game. "So, in that sense, I guess I'm starting new and fresh as a performer. But I - I've always stuck to who I am. And I've always been a performer at heart. And I just want to build upon the artist that I've always been. And I think the key is just growing in what you've always been. I don't see a sense in changing my performance style unless, of course, Adam, you know, has a real note about it. But so far, so good." "The Voice" continues Tuesday, Monday and Tuesday at 8 p.m. on NBC. •Follow Christina Grimmie on Twitter @TheRealGrimmie and #TeamAdam. •Joshua Maloni writes about television shows such as "The Voice," "Warehouse 13," "Crisis," "Psych," "The Black List," "Grimm" and "Almost Human." Follow him on Twitter @joshuamaloni. It was on the first season six episode of "The Voice" that we met Bria Kelly and Christina Grimmie, two singers with the pipes and personality to win NBC's hit singing competition. It would be nine and 10 episodes, respectively, before we'd see them perform a second time. In that span, many promising performers took to the stage to make a case for the crown, but none matched these two standouts. After winning their first "Battle Round," Bria and Christina are just one round away from competing on the live shows, where the audience will decide which singer (or group) will win "The Voice." Last Monday, we watched Bria square off against Tess Boyer for Team Usher. The singers were asked to pair up on the iconic Janis Joplin's "Piece of My Heart." Seemingly, the song would be right up Bria's alley. She is, of course, a gritty, Janis-style rock singer with a powerful voice and a strong stage presence. But Bria seemed a little uneasy sharing the song with Tess, a former NFL cheerleader. "I mean ... it's not every day, because I come from such a small town, that I get to sing with someone as good as Tess," Bria told BTS. "Because, again, I'm not used to singing with other people. Like, I'm the frontrunner of my band. And I'm not used to singing with other people. And when I do sing with other people, they're singing harmonies behind me. So it wasn't, it wasn't that hard. I thought it was cool. Like to be honest with you, I thought it was a cool experience. "It's not necessarily the fact that it was difficult. It was different and I really, really enjoyed getting the opportunity to be able to just make a kickass performance." Usher chose Bria to continue on in the competition. He said, "I think that Bria, ultimately, connected to the song more than Tess. And I think we can go far." "As far as ability to sing, there's something about Bria. And I am so terrified of Team Usher, right now, because of you," coach Adam Levine told Bria. Bria said the first "Battle Round" prepared her for the second duet-duel, which already taped and will air in coming episodes. "It really helped to know that I was - I started off singing the song, like, definitely with my tough-face façade that I have," she said. "You know, obviously, I come off like I'm really badass. But for this song, I definitely had to become a little bit more vulnerable onstage. And, I, I mean, I didn't have my guitar, so I had to, like, move around. But basically, vulnerability is a key thing that I took away from all of the, all of the feedback, all of the comments that I got from (mentor Jill Scott) and Usher. (It) was definitely just being able to open myself up." Pop-R&B artist Christina's first "Battle" was montaged Tuesday, meaning we only saw a few moments of the matchup. Christina's coach, Adam, said she only scratched the surface of her potential. Describing the performance, Christina told BTS, "I battled Joshua Howard. And our song was 'I Knew You Were Trouble' by Taylor Swift. "Our battle was interesting, because it was a little more cutout for me more so than Josh Howard. However, I don't think that I particularly did the song any, like, major justice. And you know we - I think we came together at the end. At the end of the day, we had a great show and it was fun. "And Adam, you know, like he said he saw potential in me. And I can't be any more grateful for that. But you know the fact that I was showed for even a second was kind of a blessing, still. So, it was a good battle, overall, I have to say." Like Bria, Christina said her first "Battle Round" performance made her a stronger competitor. She said her next TV appearance will reveal more of who she is as a singer. "Well I feel like, definitely so far, performing with another person really helps your energy," Christina said. "And for me, especially, I already have a ton of energy. But with another person I feel like my performance just gets a little bit better. And I get way more into it. And I feel like for this future battle that you're going to be sticking around for, it's going to be great. And I feel like I really get to show who I am as an artist and a performer. "And it's always a little tougher with another person. But that fact there's a little more energy there I just - you know it's a great time. It's a little different than performing just by yourself. But that's what makes it special." "The Voice" continues Monday and Tuesday at 8 p.m. on NBC. UPDATE: Christina did, in fact, rebound in her second "Battle Round" performance. In a tight matchup Monday, she bested the quirky and talented Sam Behymer on their version of "Counting Stars." Christina owned the stage and proved she has the vocal prowess to win "The Voice." Coach Blake Shelton called Christina "a ball of fire" and "a stick of dynamite." Shakira said Christina showed confidence and maturity. >>Follow Bria Kelly on Twitter @briakelly and #TeamUsher. >>Follow Christina Grimmie on Twitter @TheRealGrimmie and #TeamAdam. •Joshua Maloni writes about television shows such as "The Voice," "Crisis," "Psych," "The Black List," "Grimm" and "Almost Human." Follow him on Twitter @joshuamaloni. When the music stopped, the lightshow dimmed and the dust settled, a handful of singers emerged as the mid-round frontrunners. Sisaundra Lewis showed she's going to be very tough to beat in a head-to-head matchup. A vocalist who once gave instruction to Celine Dion, Sisaundra's pipes are powerful and precise. In her first "Battle Round" appearance, Sisaundra was paired with Paula DeAnda on Lady Gaga's "Do What You Want" - a song Gaga performed on season five with coach Christina Aguilera. Sisaundra's performance proved she has what it takes to compete - and not just with the rest of this season's field, but with two of the industry's top talents. One of Sisaundra's high notes, in fact, just about knocked the coaches from their chairs. "Sisaundra, what an incredible talent," Usher said. "I would have to give it to Sisaundra." "Two powerhouse singers," Shakira said. "Sisaundra, that high note - wow. You hit it. It's just unbelievable." "We are hearing a lot about the big note that you hit," Blake Shelton said. "One of my favorite things that I've heard along the way was that you picked that moment, and then you did it. And it is amazing." "Sisaundra stands alone on Team Blake this year," he said afterward. "I mean, there's nobody that's anywhere near interfering with what she's capable of, and who she is as an artist." The singer told BTS she's learned a lot from Blake. Sisaundra said winning her "Battle Round" gave her "that empowerment that you have, but at the same time we do have to live in a moment." She brushed aside any notion she's a favorite to win. "It's very intense. Everyone's really talented. And we just bring our best to the stage on that day," Sisaundra said. Kat Perkins was teamed with Patrick Thomson on a number that actually is a male-female duet, the '70s-era Kenny Loggins/Stevie Nicks song "Whenever I Call You 'Friend.' "
Kat made the most of her time on stage, moving and singing with style. When joining in on the chorus, Kat's vocals soared past her partner. "The 'Battle Round' is really fun for me, because I love singing harmonies and I love being a part of that aspect of a song or a performance," Kat told BTS. "And so that was really exciting for me to be a part of." "Thank God mine and Patrick's song was a real duet by Kenny Loggins and Stevie Nicks," she added. "So it was just such a team effort for that song. And, you know, we needed both parts to really complete that performance. So all I did was try to focus on doing my part well and, you know, blending with Patrick and making it a great performance. And I felt like that was taken care of." While the coaches enjoyed the duet, they said Kat was the stronger performer. "For this type of song, Kat had more of a presence there. She was clearly hitting the note with more ease," Blake said. "I found your delivery, Kat, really, really great," Shakira said. In the end, coach Adam Levine chose Kat. "Kat, you were as animated as I've ever seen you," he said. Adam said he thinks Kat could make her way into "The Voice's" final five. "Kat has just an overall strength that I just can't let go of," he said. "I think she really commands the room very beautifully, and so I had to hold on to her." "You know, I think just moving (on) - for me, I have to (do) it one step at a time - pretty much one day at a time in this competition, because it's so intense," Kat told BTS. "And there's so much talent. And, you know, for me I think it's just now focusing on the next round and getting through that. "So yes, I feel momentum, but only in the fact that there's work to be done. And that next round is there and, you know, it's just focus time and go time." Clarissa Serna, a four-chair-turn in the blinds, once again impressed the coaches with her vocal prowess. She was paired with fellow rocker Jeremy Briggs on a rock song, Foreigner's "Cold as Ice." Though Clarissa was nervous about her "Battle," she managed to take control on stage to take the victory. 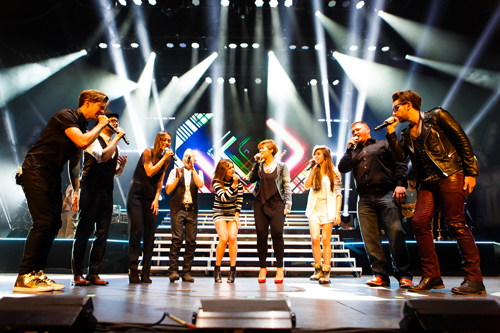 "You guys are both great singers, but Clarissa, you got a big voice, man," Adam said. "I don't know. I'd probably have to go with Clarissa." "That's a tall order for you, Jeremy," Blake said. "I mean, she's a powerhouse. I think I would probably pick Clarissa in that situation." Shakira opted to take Clarissa, saying she "can do a lot more moving forward" with her female protégée. Though she's been a coaches' favorite thus far, Clarissa said it would take more than that to win "The Voice." "You know looking back - and I haven't watched every season of 'The Voice' previously, but in my opinion it doesn't really matter how many chairs you get from the beginning, as far as progressing through the show goes. I think that, yes, it can definitely take its toll on your nerves and create more pressure for you personally and internally, because you feel like you have so much to prove. It seems like it would be reassuring, because you feel like, 'Oh well, maybe if I don't get through this part I'll get stolen.' But it really comes down to the quality of your performance and, you know, how you are as an individual - not just your voice, but your personality and how you carry yourself, as well. "And, you know, I just - it's a good thing. It's great. I definitely felt the pressure with that. I wanted to bring everything I had to the table, and I think that, yes, you kind of like get yourself up to a certain level and you feel like you have to top that. ... It does add a lot of pressure to the next round and the following rounds after that, because you feel like you always have to be taking another step higher." Week one's standout "Battle" pitted Melissa Jiménez against Brittnee Camelle. It was an epic showdown - coach Usher's description - as two talented singers gave their all in a rendition of Melanie Fiona's "Give It to Me Right." The performance was reminiscent of the classic Monica-Brandy duet "The Boy Is Mine." "I thought it was awesome," Shakira said of the performance. "It was just smoky hot." "That was, like, a battle," Adam said. "The only thing you didn't do was punch each other in the face with boxing gloves. "When you started singing, Brittnee, it was a little shaky at the very, very top. But then you got it together, and you were just unbelievable. And then at the end, Melissa, you hit this big note. It was like. ..."
"How about that range?" Shakira interjected. "It's crazy how high that note was," Adam said. "I think that you both managed to work it out, where you could individually shine," Usher said. "I want to comment, Melissa, on those bigger notes that you hit, because I think that that was great. With those big notes, I think that it's great, Brittnee, that you were able to show control, allowing this performance to really come to you. "So you both had, like, highlights." In the end, both singers advanced. MJ won Usher's "Battle," and Adam stole Brittnee. "I just think that Melissa gave a little bit more," Usher said. "When you sang, it was powerful," Adam told Brittnee. "And I think that there's a lot that's going to happen with you." MJ credited Usher with the excellent pairing. "He's the mastermind behind who he wants to see sing together," she told BTS. "And I really respect, you know, even though I had a feeling that - I had a really good feeling I was going to go up against Brittnee, just because of our similar styles. I even included personality and just we're - us as women - I had a feeling we were going to be together. "So when Usher said, 'I paired you two together,' and, you know, 'two strong powerhouses, and I feel that you can both inspire each other and also sort of pull from each other's energy,' he was right on the money. So I was, you know, really excited and, you know, you kind of get a little naturally scared, because you know what the other singer is bringing. And so at the end of the day, I'm really happy that he paired me with Brittnee." "Yes. I definitely have to agree with Melissa on that," Brittnee said. "You know, we do have to thank Usher for that performance, because it was a great pairing. And I thoroughly enjoyed every part of it - from all the rehearsals to the actual performance - like, it was a challenge. And we had to meet each other. "And we did feed off of each other's energy. And I think that's what made it so intense in that moment was the fact that every time we got up there and did it, there was something new that evolved or that came out of us. And that was such a joy. "So I think it just was all about just energy, and just really feeling each other in the moment." Look for more moments on "The Voice" when it continues Monday and Tuesday at 8 p.m. on NBC. >>Follow Sisaundra Lewis on Twitter @sisaundra. >>Follow Kat Perkins on Twitter @KatPerkinsMusic. >>Follow Clarissa Serna on Twitter @ClarissaSerna. >>Follow Melissa Jiménez on Twitter @melissajimenez. •Joshua Maloni writes about television shows such as "The Voice," "Helix," "Psych," "The Black List," "Grimm," "Crisis" and "24." Follow him on Twitter @joshuamaloni. While it's true "American Idol" has, thus far, produced more musical superstars than "The Voice," it's entirely possible the results will flip-flop in a year, or five or 10. "American Idol" is the undisputed champion in creating overnight success stories. Contestants, unknown a few weeks or days prior, can shoot to the top of the iTunes charts or grab thousands of Twitter followers with just a few appearances. Conversely, "The Voice" provides singers with an opportunity to work with a coach and mentor(s) who will guide them throughout the season and beyond. These performers work with their coaches to obtain record deals, touring opportunities and more. Subsequently, these musicians have a stronger foundation upon which to build a livelihood. It's for that reason "The Voice" is a perfect fit for singers Kat Perkins and Paula DeAnda. Both Kat and Paula took a run at a music career, but ultimately came up short of their respective goals. For them, "The Voice" represents an opportunity to obtain professional guidance and overcome the obstacles that once hindered their progress. In the final week of blind auditions, Kat, 33, whose band once opened for Bon Jovi, took to the stage to perform "Gold Dust Woman." She sought a coach to teach her more about using her voice. "What an attitude!" Shakira said following Kat's song. "You were really incredible for many reasons," Usher said. "When I first heard it, I said, 'OK, well, she's a country artist.' I don't know a lot about country, but what I do know is when I hear a great voice, I gotta hit my button. For us to win 'The Voice' together would be incredible. "You know, you started the performance off - it drew me in. Then you held this loooong note. I'm, like, 'Wow.' I can only imagine how much of an incredible performer you will be with the type of support and encouragement to be great." "Let me start by telling you that you are amazing," Shakira said. "I want you desperately." Shakira told Kat she wrote and produced 99 songs (nine albums), does her own choreography, wardrobe and co-directs her videos. "I'm on top of every detail," Shakira said. "I'd like for you to be the architect of your own destiny. You and I could get straight to the top." "Please correct me if I'm wrong: You're a rock singer; that was a Fleetwood Mac song," Adam Levine interjected. "Stevie Nicks has, to me, maybe the best voice of any female artist, I think, ever. We've had her on the show the first season - the season that I won. "The end of your performance - that note - that seared the entire audience. That was unbelievable." Kat chose Adam and said, "His pitch - he was just so sure. ... He was so determined to get the rocker chick." On Tuesday, Kat told BTS, "I think that, for me, because it's my first time going solo, as a solo artist, that 'The Voice' is a perfect platform for (a long and successful career), because most of the contestants are solo artists and I had never done it in my career. I'd only been part of rock bands, my own rock band, so I think the platform for me is perfect for a second chance and also reinventing as a solo artist. "A lot of - you can't get much bigger than this show to have the opportunity to do that, so I'm grateful for that and hopefully it works." At the age of 16, Paula crafted her own single, "Doing Too Much," which she personally shopped to radio stations. She caught the ear of uber-producer Clive Davis, who signed Paula to a record deal at Arista. She charted two Gold singles and appeared on MTV's "TRL." Her career was headed in the right direction until Davis left Arista. Subsequent records were delayed, and Paula was ultimately dropped. Now 24, Paula is looking for a "rebirth of my singing career," she said. "This opportunity would mean the world." On "The Voice," she performed "The Way." Her sultry tone netted chair turns from Shakira and Blake Shelton. "I was enjoying your performance a lot, especially when you attempted to do those high note with falsetto voice," Shakira said. "I noticed that there was some issues. But, I am convinced that, under my coaching, you will improve 100 percent. And what's going to happen is that you and I are gonna work so hard that, in a few weeks from now, you're going to go, 'Wow, how did I improve this much?' And that's going to happen because I'm going to be your coach." Blake countered by appealing to Paula's Texas roots. "You did an amazing note," he added. "We were already looking at each other (he and Shakira), like, 'Oh my gosh, this is good.' And then it was like, reaction. "That's what I see in you is this ability to attack, and I don't think you're afraid to try anything. And continuing on from what Shakira said, when she said she sees you improving and getting better, I'm looking even further than that. I see a victory in your future. But it's only in this lane that I see that." After some deliberation, Paula pulled into Blake's lane. "You know, I was really impressed with Paula," Blake said afterward. "She has equal power as a falsetto vocalist as she does just regular full voice." "Well, this experience has been amazing," Paula told BTS Tuesday. "I learned a lot of different things. I've never had one-on-one vocal coaching, and I think that (this) will help me in the long run, too. Being signed before was amazing; I loved every minute of it. But it also has its downfalls in I never got to come out with my second album and I just kind of - I'm starting from the bottom up again. So, 'The Voice' is a perfect platform for me to be on and to show people that I'm still doing it. "You can still do it. Never give up on your dreams." "The Voice" continues with the "Battle Rounds" Monday and Tuesday at 8 p.m. on NBC. >>Follow Paula on Twitter @pauladeanda. •Joshua Maloni writes about television shows such as "The Voice," "Helix," "Psych," "The Black List," "Grimm" and "24." Follow him on Twitter @joshuamaloni. "The Voice" is a life-changing opportunity for singer Ria Eaton. To put it bluntly, her appearance on the hit NBC reality series was like winning the lottery - a one-in-a-million shot to be plucked from obscurity, and to work with musicians she'd never be able to work with on her own. Ria's mother is a dance teacher who once performed for the Boston Ballet. When Ria decided she wanted to sing instead of dance, her mother turned into her "mom-ager" (mom-manager), and helped Ria get gigs (most notably with the Boston Symphony Orchestra). Ria's father lost his job about five years ago, and her mother was forced to close the family's dance studio. They lost their home, and Ria had to quit music lessons. "I've recently started working as an ear-piercer at the mall," she said before her blind audition. "I've been writing; I've been trying to get my face - my songs - out there. But recording time costs a jillion dollars, and we don't have that." What Ria does have is talent, and she showed that on "The Voice." On stage, she performed Anna Kendrick's "Pitch Perfect" song "Cups." Her voice drew last-second "I Want You" chair turns from coaches Blake Shelton and Shakira. "I think you started singing better when it crossed your mind that, 'This isn't going to happen,' " Blake said. "I think that's when you finally let go and, all of a sudden, it's like her voice opened up. The pitch was there. You had that rasp that ... you have to be born with it." "You were having a few issues in the first half of the song," Shakira said. "Then when I heard that raspy voice, I just realized the kind of singer I was in front of. You're like a pearl in an oyster. And if you pick me as your coach, I'm going to take that shell, I'm going to pry it open, and I'm going to make sure ... we're going to polish that pearl. ... We're going to show the world what a jewel you are." "This is definitely a huge moment," Ria said. "To have four of the coolest people in the music industry potentially coach me, it's career-changing. "There's been a lot of tough times in my life. And to have this opportunity now, it's unreal. "Everybody has a dream, and everybody needs a chance, and this one's mine." "One of my favorite artists that I've got is Ria Eaton," Blake said. "She just doesn't sound like anybody else, and I love people that stand out." "To have already developed that sound, and have that rasp, it's one in a million," he added. "And I can't wait to see where we end up with her." Ria said her situation has improved since working with Blake. "I mean how can life not improve when you're working with Blake, pretty much, to say the least?" Ria told BTS Tuesday. "There's so many good things that are - that happens, like, that come out of working with a celebrity coach, and I'm just hoping that you guys can all see that in the next round." In the hours that followed Ria's first performance on "The Voice," "I literally had to put my phone in a separate room and just let it do its own thing, because it would not stop going off," she said. "Watching my blind was, like, insane, because there were things that happened that I didn't even remember that happened, because I walked on the stage and it's like I was in a different place while it was happening. And the past 24 hours have been insane, and I could not feel more humbled, and I'm so overwhelmed by all the love and support that I'm getting." >>Follow Ria on Twitter @riamusic. In week two of the blind auditions, "The Voice" introduced us to Sisaundra Lewis, 44, who previously worked with Celine Dion and served as vocal director for Celine's tours. Sisaundra took a break from music to raise her family. Now that her children are a little older, she hopes to take center stage. Following Sisaundra's spot-on rendition of Aretha Franklin's "Ain't No Way," all four coaches turned their chairs to signify their interest in the singer. "I realize, right now, that I am completely in over my head," Blake Shelton said. "I'm so glad I turned around in time enough to see you perform. ... I would buy your record if it came out tomorrow." "Your performance was so electric, and the way you performed was so powerful that it really helped me love you even more," Adam Levine said. "But for as great as that was, I still do not think that that was your best, which makes me think to myself, 'Wow, if I don't think that was her best, what does her best sound like?' "
"I want to help you be (the best)," Blake said. Sisaundra, hoping to be the best, opted to join Team Blake. Speaking to reporters Tuesday, she told BTS, "At this point in my career, I would love to - I've had the opportunity to step center stage, and all my career I've always been the supporting cast. So with 'The Voice,' they enable us to be able to step out front - to tell our stories, our lives, our journeys, and give the American public the opportunity to vote, and also to work with masters in the craft of vocals, vocalization and music. So, I couldn't think of a better way if I were to start something at this stage in my life, than to be on this show to make it happen. "I always say 'I'm not an island,' and to have such a huge company like 'The Voice' and NBC to create a show like this for artists like all of us, is just a blessing." Though she's worked with Celine Dion, Sisaundra is not "famous by association." "Well, it is definitely a myth that you are famous based on your association or you're successful (by association)," she said. "It's a blessing to work with all of those people, but I've had my days - my months - of sleeping on the floor, starting my career from the jingle industry. You know, there are very serious days of hunger, and the desire to be heard not knowing which way to go - not having any direction. So, it has not been an easy journey. So to be able to get to this point and have something like this, you're just kind of, like, just in shock that it's available to you." Sisaundra is ready to record, tour and be a solo artist - "everything that's connected with the music industry. I definitely want to go out and do it and be center stage for the first time in my life," she said. For 33-year-old Emily B., 33, music helped her get through a series of unexpected brain and eye surgeries. "The Voice" is her triumphant comeback. "Music has been part of my life from day one," she said Wednesday. "I grew up in a musical home, so it's always been my outlet - regardless of the situation I'm in. But when I went through my health scare, it definitely put things into perspective because, actually, one of the side effects of my brain surgery was that I lost my voice for about six weeks. So, life was put into perspective, and I found this new way of looking at my voice and the gift I've been given. And, thankfully, that was given back to me after it'd been gone. "So my new approach was that I was going to approach singing with no fear and using it as a tool to encourage others and inspire others. And so I feel like 'The Voice' is the perfect platform for that. And, yes, I do feel like it's a second chance, because I had this fear of even living, and then having my voice taken away. So for me to get to sing on this platform, it's just gone beyond my wildest dreams and expectations for myself. And also not to mention that I'm 33 years old, so any opportunity like this coming for someone my age - yes, this is definitely a second chance, and I'm hoping, again, that I can use my experience and what I've been through to inspire other people." Emily's soaring vocals on Chris Isaac's "Wicked Game" netted "I Want You" chair turns from coaches Shakira, Usher and Blake. "That last note was killer. ... Massive," Adam said. Usher complemented Emily's ability to make the song her own. "I think your falsetto is incredibly strong, and you nailed it," Blake said. "I think it was a very intelligent decision to change the arrangement," Shakira said. Emily, as Shakira put it, made a second intelligent decision in joining Team Shakira. "I mean, these guys are awesome. They're some of the best in the industry, and to have them give you a compliment - I mean, you always hear from your mom and your family and stuff, which is great. No offense to them, thank you, but when you have someone like Usher, Shakira, tell you that you're good, and tell you that they love your voice and they want to make you better, there's no words that can describe how valuable that makes you feel, and how awesome it makes you feel. It's unbelievable." For Audra McLaughlin, 21, "The Voice" is a chance to prove to her naysayers - bullies and those who didn't value her intelligence or ability - that she is a special talent. Audra began a bidding war for her services following a soaring performance of "Angel from Montgomery," a John Prine song often covered by Blake's wife, singer Miranda Lambert. "I was compelled to turn around by what I heard," Adam said. "And then when I saw what I was listening to, I was even more overjoyed, because you're beautiful." "You are a beautiful girl, but I really wanted the world to recognize you for the amazing, immaculate voice that you are," Usher said. "Your voice is out of this world," Shakira said. "It has raspyness, sweetness; it's got power. It's just missing one tiny little thing: It's missing me. I'm the missing link. I can help you get to the top." "My wife introduced me to that song," Blake said. "I used to watch her perform that song night after night. And so, when you started singing it, I was holding you to Miranda's standard. And when you hit the last note, you know those fireworks that go off and they spell stuff? It said 'Team Blake.' "
"I'm just so in shock, I guess. And it's just so amazing to have this opportunity, and I'm just really blessed to, honestly, just be here and be able to live my dream," Audra told BTS Wednesday. "And it was just amazing. It was kind of like an out-of-body experience, I guess. That's the only way I can explain watching myself on TV last night, and seeing all the amazing things that each of the coaches had to say about me. And they're all really idols of mine. So hearing all of the things that they were saying about me just really hit home for me and I - 'The Voice' has seriously, really, changed my life, and it's really given me the chance to finally follow my dreams." Audra opted to pick Blake. "I just think that getting this opportunity has really just changed my whole outlook on life; and with everything I've been through, it's just been so amazing to go through this experience," she said. "And I've learned so much so far, and it's really helped me grow as an artist, and I'm just really hoping to continue to be an inspiration to others. And I'm just really excited to still be here." >>Follow Emily B. on Twitter @emilybemusic. >>Follow Audra McLaughlin on Twitter @AudraLynn21. In the first round, singers can perform a song of their choice, in a genre and style of their choosing, in an attempt to sway one or more coaches. Should they find success here and advance, they'll find the tables turned in rounds two and three. In the "Battle" and "Knockout" stages, the coaches will take these singers and place them in different, oftentimes difficult settings, forcing them to perform in a manner that will stretch them - and force them to fight for the title of "The Voice." Many times, singers are tripped up in these rounds because they fail to adapt. They simply can't move past their comfort zones or tackle a different genre of music. If versatility is the key to success, then singers Melissa "MJ" Jiménez, 29, and Clarissa Serna, 27, should have no problem advancing to the live rounds. Melissa regularly performs with a 10-piece band - and she is trilingual. For her blind audition, she performed Alicia Key's "If I Ain't Got You" a-cappella, with the band, and in both English and Spanish. "I'm so happy that you elected to start your performance a-cappella, because I got a chance to really hear the quality of your voice," Usher said. "I thought you had a great voice," Adam Levine said. "Usher was right; a-cappella was fantastic." "I want to be the guy that goes all the way to the end with you," Usher said. MJ chose Usher. In a phone interview Tuesday, she said, "This show is called 'The Voice,' and they're trying to search for somebody that can take that next crown. "As far as advantage, I'm very happy to be able to sing in actually three languages, but if my coach is willing and wanting for me to showcase that side of me, then I'm more than happy to do that. But as far as advantage, it's just an extra tool. I don't see it as an advantage or a disadvantage. So if my coach says, 'You know what, time to pull out that card,' then I will. But for right now, I just feel really blessed to be a part of the show." Upon MJ's selection of Usher as her coach, he said, "There's many different dimensions to who she will become as an artist." "So far it feels amazing just to watch everyone's blind audition, and I think in a way we're all - we all (feel) accomplished just to be heard and to sing in front of 'The Voice' empire, and all of the fans that watch 'The Voice,' " MJ told BTS. "So for me, I feel just amazing to say that I was able to sing on "The Voice" stage, and that was already for me an accomplishment. I can cross that off my list. But it's hoping to continue to go in the show. I just continue to grow; I hope to grow and to learn more and to build on my craft and to just continue to show America who I am, and who MJ is, and hoping that they continue to support me on this journey." Clarissa Serna, meanwhile, has been working with young girls at a "rock camp," singing with them and teaching them about music. Between that and performing, there's not a genre or style of music she can't handle. "You know, I was raised on a lot of different genres of music, and just kind of with an open mind towards these different genres," she said Tuesday. "And I've had the ability to sort of imitate different voices and stuff, and I think since I was a kid that was something that intrigued me, and has always been interesting to me - even imitating movie characters or whatever it might be. So I think that that's been very beneficial to me as far as my music goes, because I have the ability to sort of use my voice in different ways. "I'm hoping that it will be beneficial to me in the show, but showing the nation that I have versatility in my voice and that it's not, like, a one-song record. I think all of us are so talented and have a lot of versatility in our voices, and I think that this is a great opportunity to show that off and share it with the world. So, hopefully, we'll be able to pull some tricks out of our pockets and share that with everybody." Following Clarissa's somber version of The Cranberries' "Zombie," all four coaches turned their chairs in an attempt to land the talented singer. "I was going to stay out of it, and you just beat me down with your voice," Blake Shelton said. "It kept getting stronger and stronger, and I'm getting more excited and more excited just talking about it. ... It was awesome." "I love that song - what an intelligent choice of song," Shakira said. "I want to be your coach." "You did a great rendition of it," Adam said. "I didn't even miss the little things that she does, you know, when she does those kind of cracky-voice. And then I thought, 'You know what? It doesn't need this,' because you have your own way of doing it, which is great. "I just thoroughly enjoyed myself throughout the entire thing, and that's why I pressed the button." Shakira, who likened her own strategy to that of Alexander the Great, asked Clarissa if she wanted to be coached by "a bunch of Hannibals." Evidently, Clarissa didn't want that, as she joined Shakira's team.
" 'The Voice' is such an incredible show, and it is a big opportunity for struggling vocalists and musicians around the U.S.," Clarissa told BTS. "It's a really great opportunity for us to be seen and heard, and I think that's what we all come here to do. "You know, I've been working really hard at this career for over 10 years. I've been passionate about it my whole life, and it's come down to an opportunity like this to really showcase what I have to the world, and to finally have that opportunity to be seen and heard, because it isn't easy. And it's hard to get on tour, and you have to have the right team and everything else to go along with it. "And more than anything, you know, I want to kind of hone in on who I am as an artist, and sort of explore that and, you know, focus less on imitating other musicians, which we have to do as part of the show, but also to figure out what my own unique sound is, and how to sort of signify who Clarissa Serna is as a musician, a vocalist and a performer." "The Voice" continues this Monday and Tuesday at 8 p.m. on NBC. NBC's "The Voice" is the top-rated singing competition on television and well-liked by critics. But if there's one criticism the show gets before each cycle, it's that the show has yet to produce a mega star the likes of "American Idol" alums Kelly Clarkson, Carrie Underwood and Jennifer Hudson, or even a superstar like Daughtry, Jordin Sparks, Scotty McCreery or Phillip Phillips. 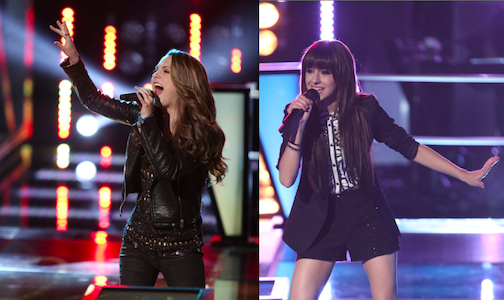 Both singers debuted on night one of the blind auditions. And both set a super-high bar for the rest of the season six singers. First up was Christina, 19, who is already a YouTube favorite and has worked with the American Music Awards, Selena Gomez and Disney. She performed "Wrecking Ball" by Miley Cyrus, owning the stage as if she'd performed for 30 years. Christina's performance netted four chair turns. "People come out here and they sing, and you never know what to expect," said coach Adam Levine. "And then you turn around, and you start to see how engaging and passionate - and you're more comfortable than I am up there, almost. And that is the moment where you realize that this person could be a huge star." "I really believe that," he said. "You were phenomenal," added coach Usher. "This isn't about them, it's about you, and what you want to do," coach Blake Shelton chimed in. "I just want to help you figure out whatever that is, and make you the winner of this show." Christina chose Adam, and said Tuesday she hopes to move past her online success. Though she has 2 million subscribers and her performance videos have been viewed more than 325 million times, Christina said, "I just feel like there's only so much you can do with putting your content out on the Internet. "You know, national television, it's just a whole different ballgame. It's a broader audience, and that's just not something that I've ever been able to do online. No matter how long I've been doing it - what I'm doing online - it's like nothing compared to what one night of being on television can do. So I'm kind of hoping that, you know, if I really stay on the show, that it can kind of really show who I am as an artist and who I am as a performer, and hopefully people just vote for me and whatnot." Closing the first episode was vocal powerhouse Bria, 17, who was a finalist on season seven of "America's Got Talent." She performed James Taylor's "Steamroller Blues," and netted both four chair-turns and a standing ovation. "Ladies and gentlemen, we have just heard 'The Voice,' " Usher said. "You're a star," said coach Shakira. "You are a stud," Blake said. "You are, and it's just a powerful performance up there." "You have this energy that just takes over the room," Shakira said. "Here's the bottom line: I'm your fan no matter what you end up doing," Blake said. "I'm a' buy your record." Usher made the strongest pitch, and said, "I want to support your record; I want to buy your record; I want to help you develop your record." He pulled out a Grammy Award, leaped out of his chair, and walked it up to Bria. He gave her an impromptu pep talk before she selected him as her coach. Bria's choice was something of a surprise as she began her career as a country artist - she even opened for Blake's wife, Miranda Lambert. Recently, she's fronted her own band and added more blues to her repertoire. On Tuesday, she said, "I definitely want to be able to cut a record, to be honest with you. I don't have the money to be able to do that at this point. I want to work with songwriters - get my own music out there. I have been on bigger stages before, but just, like, locally. I haven't, like, toured or anything." "I just want to be able to cut a record. And I just want to get my own music out there and have people download it on iTunes, and just get that feeling of knowing that, like, you've made other people see (it). ... I just want to be able to make my own music and have people be happy with it." Though "American Idol" can boast a bigger roster of stars, that show wasn't the right fit for Christina or Bria. Both said they prefer "The Voice." " 'The Voice' is an extremely nurturing environment, and you can just tell that by being on the show," Bria said. "They don't have any gimmicks, they don't show people who are horrible during their first audition just to get a few laughs out of the audience at home. It's definitely all about the music, and that's something that I definitely wanted to be a part of. It's all positive, and I didn't want to be a part of something that portrays people in a negative way. "And I think I made the best decision ever by trying out for ('The Voice'), because it's changed my life in so many positive ways. I've met so many amazing people; nobody's really - everybody's so humble, and it's amazing to see how everyone just interacts. Everyone is so happy with this show as a whole, and I'm part of that group." "Right, this show, for me, is basically just kind of like, you know, it is all about your voice. It's not about the numbers that you've had previously or, you know, things like that," she said. "And for me, you know, coming from YouTube where it's based off of like, 'Oh well, you're already famous, you know,' I've gotten that. And it's like, well, really, like, I'm not at all, because, you know, I've gotten a lot of Twitter, you know, comments last night saying like 'How (do) the judges - how did the coaches not know who you are,' and blah, blah, blah? And I'm like, are you serious? Like, of course they don't know who I am - I'm not a household name or anything. "So it's kind of like I wanted to, like, extend further than just, you know, 'the YouTube chick who sings covers,' you know? And 'The Voice' is a very nurturing place. And like Bria said, I love the fact that they don't show people doing a crap job on stage, you know what I mean? That's awesome, and I wanted to be a part of that. "And, you know, I just really do love that it's all about the voice, and you have these four superstars that just want to take you all the way, and build you and develop you as an artist, and I think that's awesome." "The Voice" airs Monday and Tuesday at 8 p.m. on NBC. Following Cary Laine's rendition of The Band Perry's "Better Dig Two," coaches Adam Levine, Shakira and Usher all offered up their big red seats in an attempt to sway Cary's vote. "It was crazy," Cary said Wednesday. "Honestly, it was nice to see it back, because when you're up there on that stage and there's all the adrenaline, I mean, and you're basically, your life, your dreams are on the line, it's kind of a blur. "I was just hoping I didn't say anything really dumb. But no, it was amazing. It's complete vindication, because I've been a fan since I was a little kid and, you know, this has always been my dream to sing, and I write and play, so this is - 'The Voice' is a huge audience, and it's a huge opportunity. And then to actually be able to get to this point, and then have those chairs turn around, and then to have them praise you, it's - it was like a dream. It was surreal. "But gosh, a really good dream. (A) really, really good dream." The 28-year-old singer from Alabama was comfortable and confident on stage singing the superstar country trio's hit song. What followed was a heated battle between the four coaches for Cary's services. "You take country music seriously, right?" coach Blake Shelton asked. "You want Nashville to take you seriously from this point forward, don't you? (Season four winner and Team Blake singer) Cassadee Pope has already had her first No. 1 album in country music." "Blake, it's not the right one for you," Adam said. "Don't you want to break the mold a little bit - do what you do, but do it through me so I can, hopefully, offer you more than he can, being stuck in his own ways." "Don't you think a girl like me would understand you better than these two jerks?" Shakira asked. "Dare to be different!" Usher said. After thinking about each coach's comments, Cary selected Adam. Now living in Wyoming, where it's hard to find gigs, Cary said she hopes "The Voice" will open up doors for her in the music industry. She was already receiving interest Wednesday, after just one night on TV. "Oh, the past 24 hours have been awesome," Cary said. "And don't get me wrong: I love Wyoming. It's beautiful, and these people have embraced me and have been so good and kind to me. But if we're, you know, being realistic, if I'm going to pursue a career in music, which is what I want to do, I need to be somewhere, you know, that's more of a music Mecca. "So these past 24 hours, you know, I've had a lot of people reaching out to me and a lot of well wishes and, hopefully, you know, I'm hoping that I go all the way. And if not, I hope that I can build a big enough fan base and the right people hear me, you know, new opportunities. I'm just, I'm taking everything I can out of this opportunity to try to, you know, push forward and really, really pursue my music career and make it happen." She's already pushed three of music's biggest stars out in her favor. >>Follow Cary Laine on Twitter @CaryLaine and #TeamAdam.